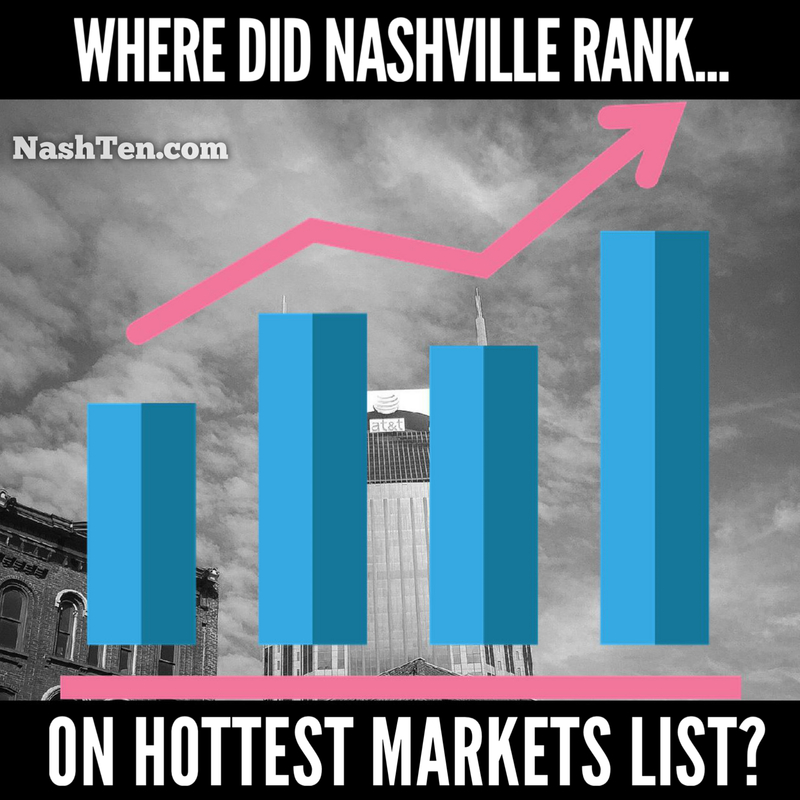 On January 15, 2019, Zillow released it’s annual Hottest Markets list and Nashville was once again near the top of that list. In 2017, Zillow rated Nashville as THE hottest market in the nation. Last year, we slipped to 8th place and that’s where we find ourselves again in 2019. 8th place. I’d take that every year. Here’s what our market looked like from Zillow’s perspective. The current median home value is the record for Nashville, and Zillow expects area home values to increase 6.8% over the next year. Zillow also produces a market overview for the whole metro region and then breaks it down by city and county level. So you can see what’s happening in every major market in Middle Tennessee for sales and rentals every month. I prefer to get my data from more than one trusted source. Zillow has some of the best research in the industry. No one is 100% correct with their forecasts, but you can gain valuable insights from each that together help you clearly see the big picture. And when you understand the market, you tend to make better decisions about buying and selling your home. If you want to see the latest version of these reports, just leave a comment/message and I’ll send it to you.